Hey there everyone, I hope you’re having a great weekend. This announcement has two primary purposes. The first is to explain the new appointment schedule for Training sessions and Consultation sessions, which will take effect beginning in October 2015. This post will also outline “black dates” where I will be unavailable for correspondence. Consultation customers will be notified of these black dates ahead of time personally, and should act accordingly to insure their projects and goals are still adequately taken care of with this new information. That may include canceling subscriptions, which I will understand and accept if requested without question. The second part of this notice is an update to the Pryor Media working terms and conditions, which is, and has always been, available on our Working Terms and Conditions PDF. This PDF is linked with every work contract created for Pryor Media Clients, and all clients agree to these terms whenever they hire us for work. I link it here so everyone can review it, and also to allow a disclosure of some important changes regarding these terms in conditions, which are in effect as of today. Please note that all work orders and contracts prior to today are subject to the previous version of these conditions, which was last edited May 28, 2014. You will find that previous version here, however this is no longer current as of today, and future clients will be required to accept the new terms and conditions of hire for any new projects they wish to hire us on. Pryor Media has, and as far as I’m concerned always will be, a very transparent company. I take personal stake and pride in disclosing as much as possible to my clients whenever it is necessary, or even simply convenient, for them to know something. By law I’m not required to do this update like this – simply uploading the changed document is enough to be legally fine. However, I want people to fully understand the changes that have happened, and in many cases be aware of some things regarding them I feel they should know. For the last year, Consultations and training sessions have counted for nearly 50% of all Pryor Media revenue. It’s a new service, but a very well accepted one, and I’ve received so much feedback with the program, and have made changes along the way to provide better, and more complete, service to more people. Since day one, I’ve made available 7 hours of time every day for consultation seasons, 4 days a week. This means a total of 28 hours of streaming training has been available to book every week. Up until my son was born, I averaged about 19 hours per week usage of this time allotment, which is far more than I thought I would use to be honest, but I’m so happy to have been able to do it for so long. However, now that my son has been born, and I have that added responsibility (which is a lot), I have come to realize that I need to restructure training to provide great service. Part of this is reducing the number of people allowed in the program at one time, and part of this is reducing the number of hours per day I’m available for training sessions. Doing both of these things takes careful consideration. As of today, Pryor Media consults for people in 7 different time zones, with a few people in the UK and western Europe and one in Australia even. These customers all have different needs regarding when they can meet, and I’ve attempted to be as accommodating as I can to help them as much as possible. As of today however, I regret to say this has to change. I simply cannot provide service world-wide as a one-man consultant. I used to before my child, “make it work”, but that’s not going to happen anymore. The new availability reflects a realistic picture of what I’m capable of devoting to consultation sessions on a weekly basis. IMPORTANT NOTE FOR EXISTING SUBSCRIBERS OVERSEAS: While the new schedule will kick in starting October 1, 2015, NOBODY WHO’S IN THE PROGRAM NOW WILL LOSE THEIR SPOTS NOW! I’m not kicking anybody out, and I will continue to make myself available to you exactly as I have been for the next couple months to transition you into having your projects completed. Starting January 1, 2016, all remaining non-US consultation subscribers who are unable to meet for training sessions during these new time slots will either need to rely on email-only correspondence, or remove themselves from the program. I will no longer be able to accommodate times for training outside of this schedule for you. – If this happens in the middle of your subscription cycle, I will refund you a pro-rated amount for the remaining time in your subscription. This presents a total of 5 hours per day, 3 days per week. That’s 15 hours of total availability per week for consultation sessions, 4 hours less than the average I was serving before my son was born. I’ve removed Monday and Tuesday from the list of days I train, but I’ve added Friday instead. Eventually, this will coincide with my son’s day-care schedule that my wife and I have structured, which is precisely what I used to determine this availability. It’s important to note here also that this is subject to change, and will likely be an adaptive process in figuring out what works best. My alternative time scale, which may work better for people, is a more afternoon-evening schedule, such as a 2pm – 7pm thing. We’ll need to see how things play out, but for now this is what works with me tentatively. Please also keep in mind that consultation subscribers will always be able to call me on the phone with quick questions and advice as well. I give you my personal cell. The 10am – 8pm Monday through Saturday availability for those phone calls is still open to you. – Just not Skype training. Between the following days, I will be overseas in southeast Asia, and unable to take correspondence for anything. 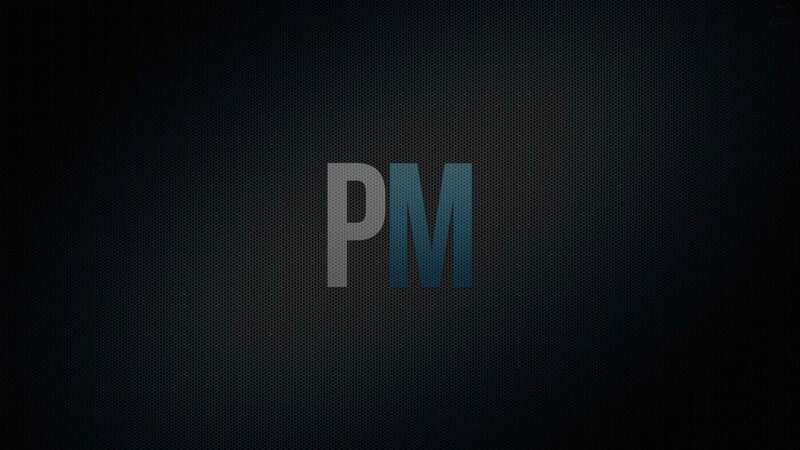 Pryor Media will effectively be closed, unless you have been assigned a designer to handle your project. In that case, your designer will still be in communication with you, but I will not be able to be reached, and any information that requires my input will be delayed (I can still check email sparingly, and will answer when I can). If you would like to suspend your consultation subscription during this time, please contact me and we’ll schedule your refund ahead of time for a smooth experience with it. The Consultation Service is now closed for registration until 2016. Since I’m gone at the dates above, it is now impossible to cover you for an entire month at this point with a new subscription. When I have returned to the USA, registration will be reopened. Existing subscribers have been notified on the schedule and their options. There are two primary changes that are in effect for this new version of our Working Terms and Conditions. The first relates to late fee policy changes. The second is a new disclosure pertaining to our ability to access our work until payment is received, and the third has to do with non-payment events for clients who don’t pay (a brand new problem). The final bit is really small, and relates to a correction in client abilities and rights of content. It’s added WEEKLY now, instead of MONTHLY. This is part of our service agreement now, and will be part of working contracts with me from now on. I hope to never use it, but I need to realize that sometimes It’s necessary to deter having time and resources abused. During the course of building your website, Pryor Media will implement a “backdoor” segment of code within your website that will allow us to access your website, in the event that access is lost. This is to help aid us in the prevention of losing access to your site, should database corruption occur with use accounts, or accidental deletion of our account happens (as has been the case on a couple projects). With this method, we’ll be able to get back into the administrative panel without needing to bug you to create a new account all over, and in one particular case, would have allowed us (had we done this earlier) to gain access to a site where everyone lost access and nobody could get in. This backdoor installation will remove such a risk. Many developers do this anyways and don’t tell you. I’m telling you, because… well, that’s just what I do. Backdoors WILL BE COMPLETELY REMOVED upon successful delivery of your website, and upon 100% payment for work rendered has been received and cleared. If you’ve paid for the site, and it has been delivered to you in full, there is no longer a backdoor installed on your site. It will be removed. For security reasons, and for reasons further elaborated below, we will never disclose in any way the method in which we install backdoor code in projects, until we remove it. We will show you precisely what we implemented and you may watch live as we remove it if you choose, as proof, should you require it. 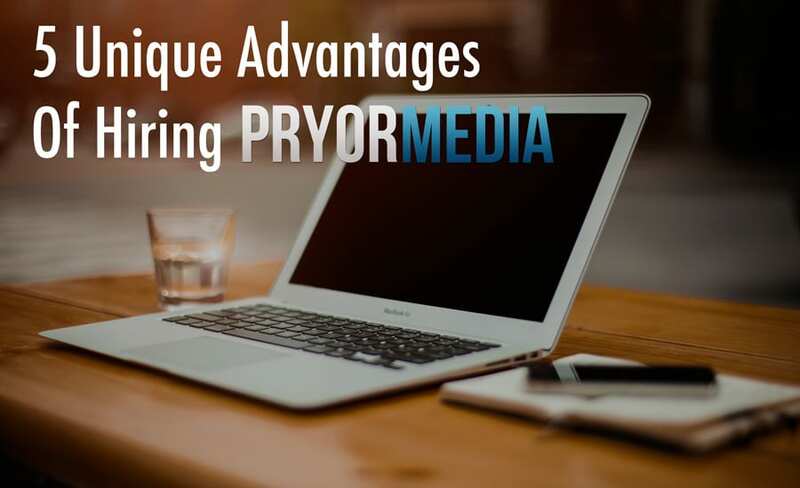 This also provides security for Pryor Media, because it assures we can access all website materials throughout the entire process of our agreement with clients, including up until being paid in full for the work. We WILL NOT install backdoors unless multiple payments are required. That means, if you’re paid-in-full for the job before we start, we will not install any additional code in this way. There’s simply no reason to do so for small jobs. In the event of NON-PAYMENT, as in the failure to pay 100% of money due for the work that has been rendered for your website, there are now new non-payment events that may take place within our working relationship, and with your project. The new Terms and Conditions allow for such events to take place after sixty (60) days overdue on payment, and not one day before, giving you plenty of time to act on invoices outstanding. These events will only take place if we receive no communication with Clients, or if we have more than reasonable doubt in the Client’s willingness to comply with payments after this time. Loss of future work orders, or forfeit of future business requests, including any and all deposits that may have been paid for projects that have been started. Forfeit of existing discount offers or coupons for services and products, which may result in an increase in money due on existing invoices (invoices will be adjusted to reflect loss of discount, and this new balance will be due). Negative reviews and comments to business partners and associates in order to better protect their best interests (by warning them of non-payment by certain clients). Locking of delivered product, including the usage of our backdoor installation as described above in order to gain access if client has removed us from their site prior to non-payment attempts. Since the payment hasn’t been fully received, our backdoor hasn’t been removed. This also allows us more security on our end for this arrangement. (again, when all payment is received, backdoor code is removed completely). The lock of your site includes a “Maintenance” screen telling visitors that the website is currently under maintenance. The maintenance will remain active until payment is received. Cancellation of service and/or subscriptions, and denial of entry and/or termination of account within Pryor Media (including access to any purchased material within). Any events or actions taken as a result of non-payment will be immediately reversed, if possible, once payment is received in full, including any late fees associated with late payment. Like many things in life, adjustments are made when they are necessary to react to conditions. In this case, the “conditions” in question are a few late-paying clients, and more of a concern, is a few non-paying clients. It doesn’t take many times before you need to adjust how you do things. Personally, I still believe in delivering a client a product and insuring they are happy before sending them a final invoice. This assures them that everything up until that point has been covered, and nothing sneaks up on them. It also insures me that I can add any added time for services to the final transitions, especially in the event that last-minutes changes are needed during launch. It’s a smoother process for everyone to deliver final invoice after product delivery – but it also creates risk on my end, which I’m now realizing. These policy changes have zero affect on most clients, because most clients pay on time, or are already paid in full prior to work being done. Those who act in good faith with us (roughly 98% of clients) will not be affected in any way by these changes. This is pretty much everything that’s changed now. There used to be a few lines that stated clients weren’t allowed to make changes to their sites without our approval, but I’ve amended that line to state “without expressed permission” – which I almost always give you guys anyways. It is firmly my view that you can be as much involved in the design process as you want to be, and are free to make changes as you wish – So long as you realize that changing things “back how it used to be” later on will take additional time, and therefore, likely additional money. Thank you for your time, and if you read this all the way through… well, I hope it doesn’t deter you from thinking about hiring us. It’s a thrill to help tons of people all around the world with their projects, and I look forward to continuing to provide the best possible service I can to as many people as I can.